If last December was the month that I craved for sushi, the recently-concluded January on the other hand, is when I gave in to all things pasta. Apart from cooking my own pasta dishes at home, I still had the appetite to order pasta whenever the boyf and I head out to eat. 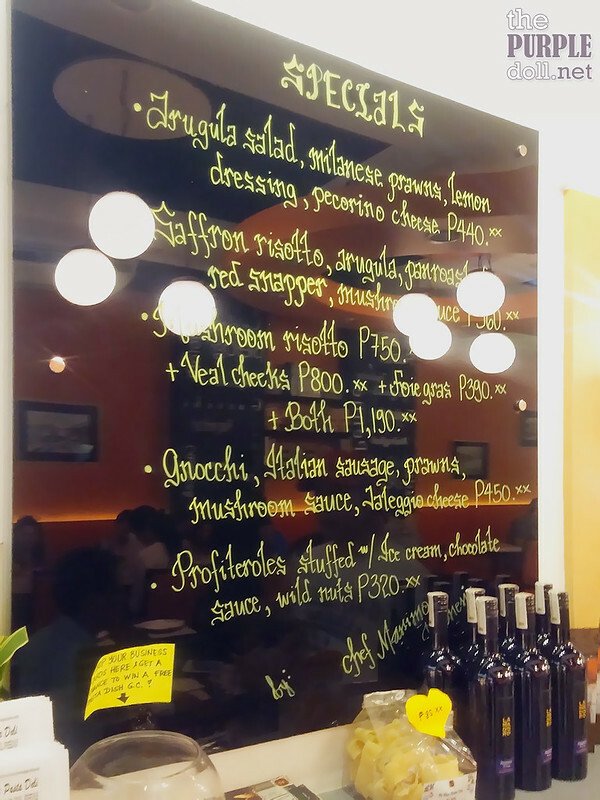 And when we found ourselves at Bonifacio Global City one Saturday evening, I knew we needed to try this restaurant known for serving authentic Italian fare! And take note, we just ate lunch at Italianni's that same day too! Well, who says you can't have pasta for lunch AND dinner? I guess all the cutting back on carbs has finally caught up. And it didn't help that the boyf is simply crazy for pasta! 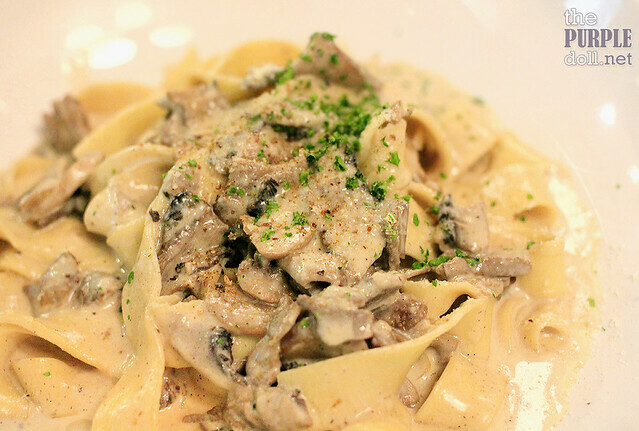 But honestly, Va Bene Pasta Deli has long been in our bucket list. I've first read about it when they only had one store, at the 2nd floor of the Petron Gas Station along EDSA cor. Pasay Road. Good thing they've recently opened another branch in Bonifacio High Street Central Square. If not, I don't know how many years it'll take us to finally try it out! 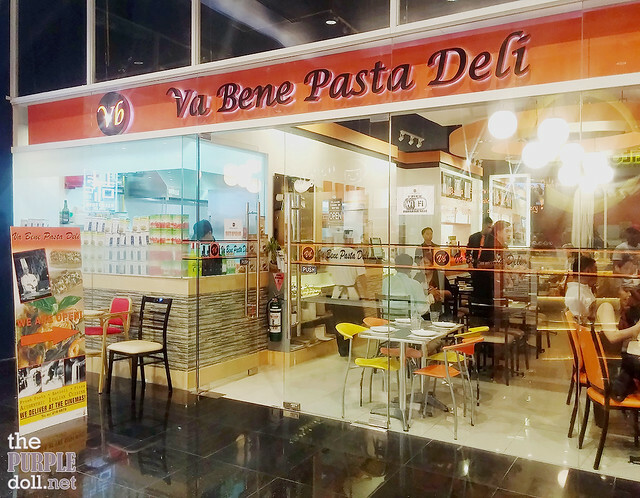 Va Bene Pasta Deli is located at the top-most floor of Central Square, where the cinemas (with 4DX and Dolby Atmos) are. 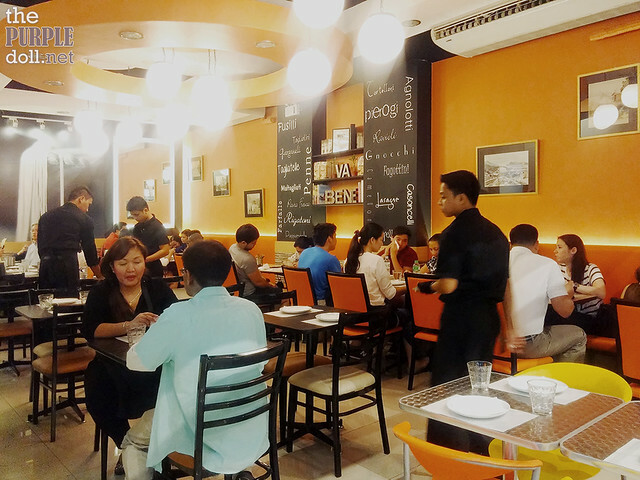 I'm not sure if the restaurant in Makati is bigger, but this store can only sit about 40 pax which is not much considering how in demand Va Bene is when we dined in. We had to wait a few minutes before getting seated. And it was already past 9PM! Interior photos on this post were taken after we billed out, so there were fewer diners then. 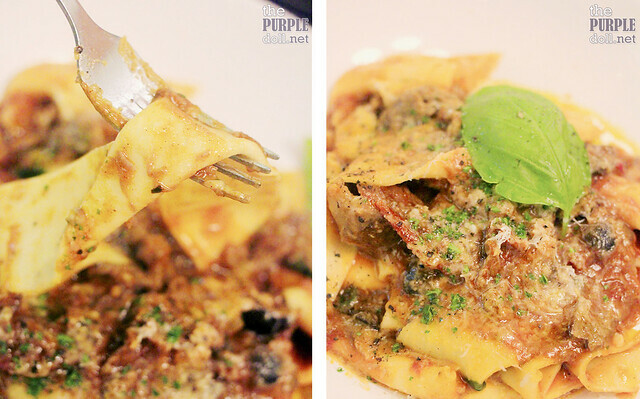 Apart from the not-so-wide main menu, Va Bene Pasta Deli also has a special menu which they rotate on a weekly basis. I have to admit, the specials did look enticing. However, the boyf and I were more interested to find out how their staples fair. 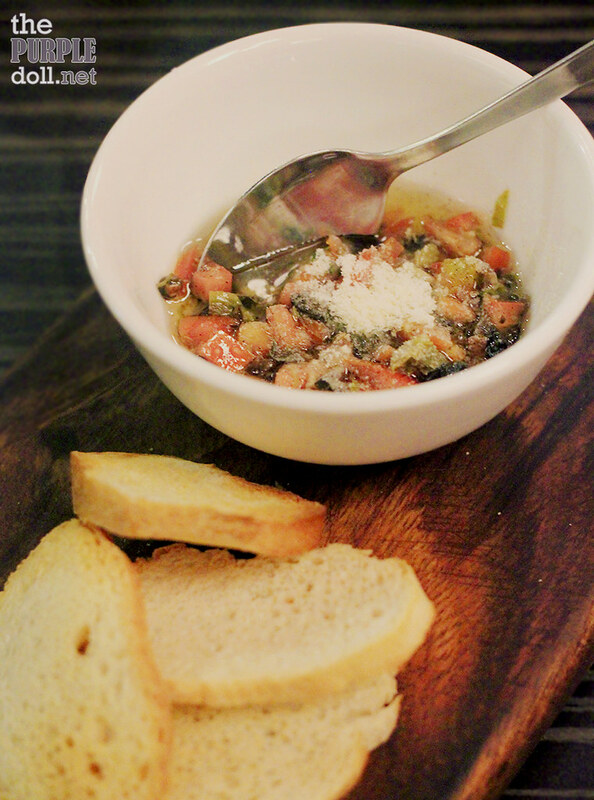 While waiting for our orders, we were first brought this complimentary serving of toasted bread slices, along with tomato-olive-capers-parmesan salsa. To be honest, I'm not really a big fan of bruschetta. However, both the boyf and I enjoyed nomming on these. Bread was crisp and toasted nicely, while the tomato salsa really whets the palate for the dishes to come. My pick was this fresh, handmade pappardelle served with Italian sausage, semi-dried tomatoes, black olives and lamb shank that's been braised for 12 hours. As a pasta lover, I really fell in love with the soft yet firm-to-the-bite pappardelle. Add in a savory and tangy tomato-based sauce, with tender and flavorful lamb meat, and I'm in pasta heaven! It's worth noting though that there's a lot of braised lamb shank (with sauce) in the pasta dish. And it's not a bad thing. Actually, when I finished my pasta, and still had more lamb on the plate, I asked to take it home. Heated it up and topped it on steamed rice the next day, and it's another heaven on the palate and another dish altogether. Oh diba? Very economical. The boyf on the other hand, had the tagliatelle made from organic eggs, served with portobello mushrooms, white wine cream sauce and truffle oil. When this dish was brought to our table, I can really smell the very enticing aroma of the truffle oil. And it wasn't overdone, mind you. Like my pasta, the tagliatelle was also cooked al dente, and I can just feel the boyf enjoying every forkful. Had a bite from his plate, and I was sold! Though I still prefer tomato-based sauces on pastas, this is definitely a must-order for white-sauced pasta fanatics. 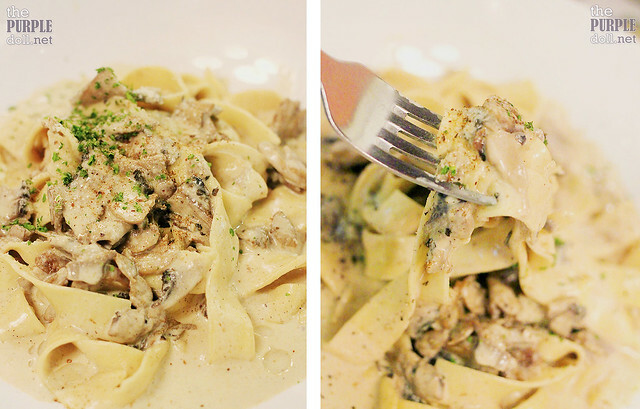 Creamy and savory with just the right mushroom and truffle oil flavors. Definitely yummy! You all know how I won't leave a restaurant without trying out their desserts, right? However, this time, I just had to pass. Was too stuffed from all the carb-loading we did that day. And hey, this simply means that I'll need to go back to Va Bene Pasta Deli ASAP! 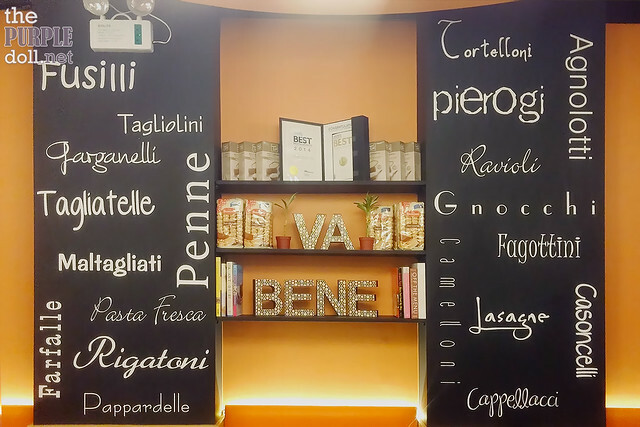 We only got to try a few dishes from Va Bene Pasta Deli, but they were definitely enough to convince us to come back for more. Their pasta is impressive, although it just has to be, considering all the great things going around about the place... Plus the price tags. Service during our visit was prompt and courteous, although we had to wait quite a while (about 15 minutes) for our orders. Ambiance is not really a strong point at this branch, but I think everyone who ate and still eats here really goes in for the food. Nevertheless, we'd still come back again, and soon. I can't wait to try their ravioli, gnocchi and desserts! Yes, go try Va Bene! :D I'm sure you'll love their pastas too! ;) Next time we go there, we'll try their risotto and main dishes naman. Hihi!